I love PAC-MAN. So much so that when I saw a baseball cap with the cheeky fella on it at Glastonbury Festival this year, I knew I had to have it. The simplicity of the character design, the waka-waka noise accompanying you as try and munch down pac-dots, while trying your best to wait for the perfect moment to snag a power pellet and turn the tables on Blinky, Pinky, Inky and Clyde is what makes this game not only addictive, but a pop-culture icon. So when I was told that I would be getting my hands on PAC-MAN Friends on my iPhone for my first game review, ever. I was more than excited. Retro-inspired artwork that fans of the original will love. As my thumb hits the app icon my ears are greeted by familiar sounds. Good start. The art style is finely polished, possessing a rich colour pallet with retro-inspired artwork and character design that fans of the series will recognize and love. Sadly, the comparison with the original 80’s arcade version ends here. 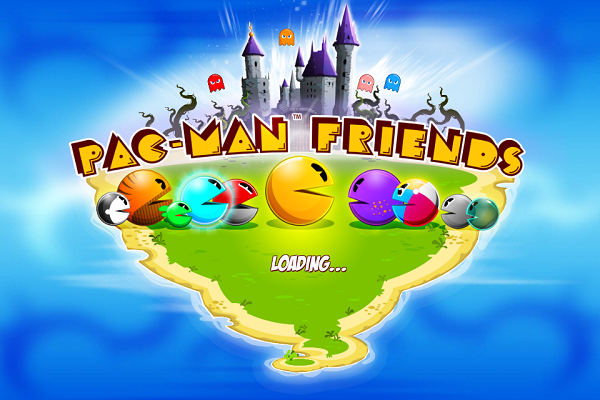 The game is laid out in a series of levels reminiscent of the ever so popular (but incredibly tiresome) Candy Crush, spread across seven different worlds. 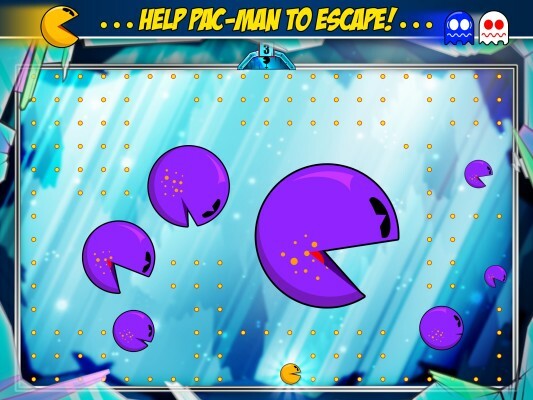 Along the way you pick up ‘friends’ that have unique abilities to help PAC-MAN in his quest. Calling them friends is a little inaccurate, however, as collecting these comrades feels more like a burden than a reward, with each one that you accumulate adding to difficulties you face. Controlling PAC-MAN and his multi-coloured companions was a chore. Foolishly, I chose not to make use of the screen-tilt for maneuvering the little guys around, opting instead for on screen buttons, which, even with my rather slender fingers was an awkward task. PAC-MAN and his chums handle like an overpowered rally car, with their back ends swinging wildly wide, as you make turns at high speed, making avoiding obstacles a little frustrating. But after I made the switch to the other control style, it gave me the desired dexterity. If you’re looking for classic 80’s PAC-MAN this is not it. Each level has you accomplishing a set amount of objectives within a desired time limit with an Angry Birds-esque score system that ranks your performance from one to three stars, depending on how well and how many objectives you successfully complete. As you go the levels gets progressively harder, but not progressively engaging. I had been holding out for a level called the haunted labyrinth because it looked like a bonus level that would transport me back – even if only briefly – to the past. It was a ruse. Once I finally collected the 10 magic keys required to unlock the level, rather than getting the chance to flex my thumbs in a familiar blue maze, I was met with more of the same. This is where I called it a day. If you are a die-hard fan of the original game and desperately need a fix of anything and everything PAC-MAN then this is the game for you. But if you are looking for a glossy re-boot of the 80’s classic, stick to PAC-MAN and forget his friends.